Kim graduated from the University of Maryland with a Bachelor of Arts degree in Criminology/Sociology, and began her career in management through the Executive Management Training program at May Company. 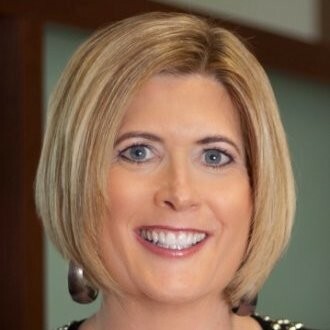 As a Human Resources Professional, her career has taken her to Blue Cross/Blue Shield and later to PharMerica, where she served as Vice President of Human Resources before joining Grow Financial Federal Credit Union (formerly MacDill Federal Credit Union) in 1999. In her position with Grow Financial, Kim is responsible for the work place culture, overseeing talent management and development, HR policies and programs, and the organization’s diversity and inclusion initiatives. Kim recently acquired the Property Administration and Corporate Real Estate Team and is branching out to increase her areas of responsibility. Kim has earned her Senior Professional in Human Resources certification and is a member of the Society of Human Resource Management (SHRM). She currently sits on the Board of Directors for the Florida Diversity Council and co-chairs the annual Young Women’s Leadership Symposium in Tampa. Her commitment to fostering diversity in the workplace has earned Kim recognition from the National Diversity Council, which in 2010 honored her with the Glass Ceiling Award and in 2011 named Kim as one of the Most Powerful and Influential Women in Florida. Under Kim’s direction, Grow Financial received the eWomen Network’s Most Supportive to Women in Business Award. Grow Financial has been named a Fortune 100 Best Companies to Work For and continues to be named a “Top Workplace in Tampa Bay” according to the Tampa Bay Times. Kim currently resides in Tampa with her husband and three daughters.